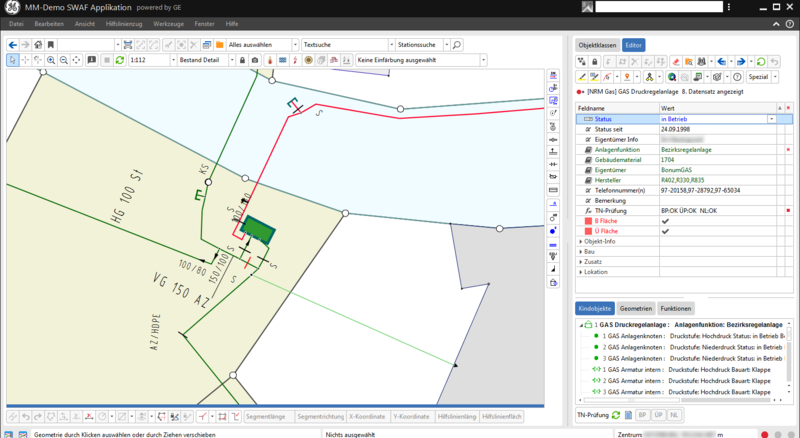 Smallworld NRM Gas is used for professional documentation and management of gas distribution networks. NRM Gas is certified by, and developed to specifications outlined by the DVGW – German Technical and Scientific Association on Gas and Water. 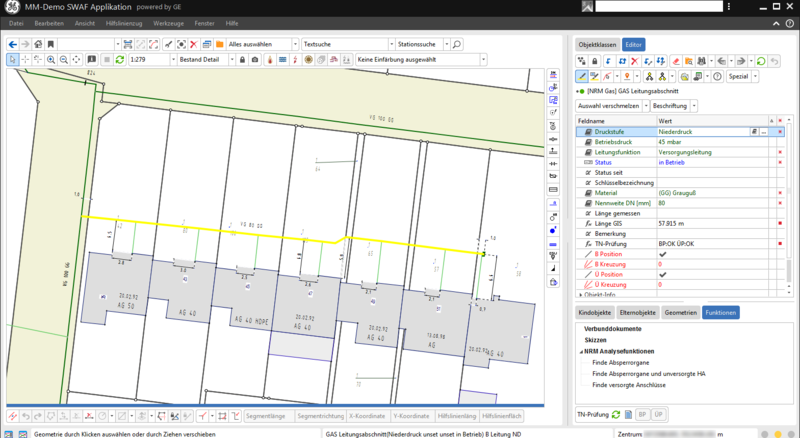 In addition to network and plant documentation NRM Gas enables the seamless integration of planned assets, as well as the documentation of assets that are out of service or abandoned. NRM Gas is a proven, high performance, resilient industry focused solution. Its out-of-the-box pre-configured templates, support for multi-Ianguages, and standard data model is designed to drive down total cost of ownership. Assets may also be differentiated by attribute value (make, type, model. zone etc.). 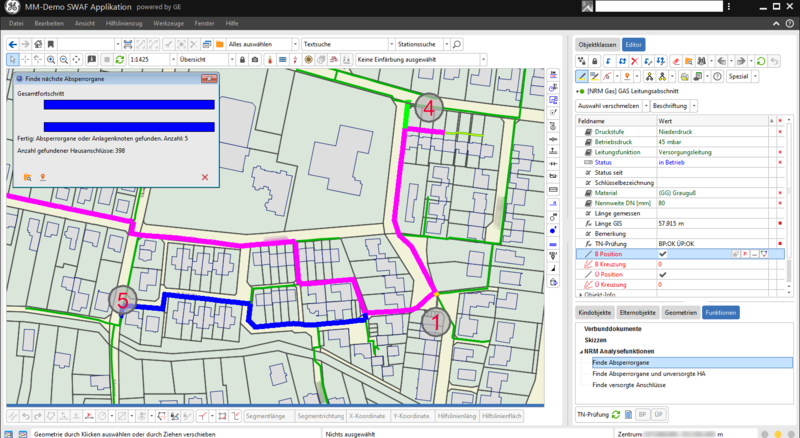 Design management capabilities allow the integration of planned assets with the as-built network providing network tracing and reporting capabilities. 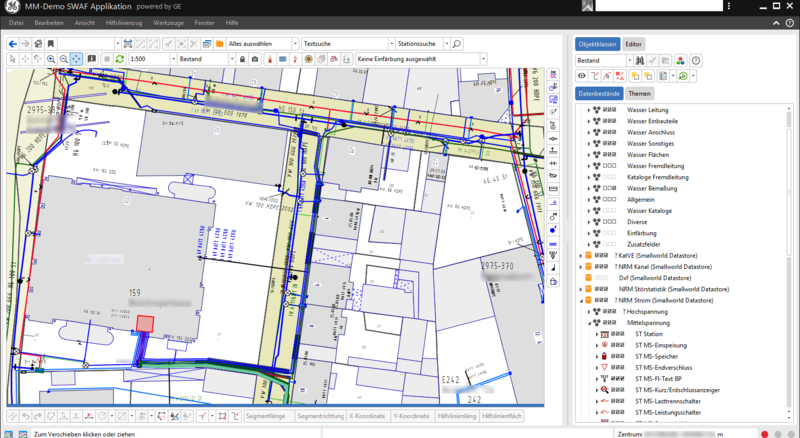 NRM Gas provides the capability to seamlessly display and manage any type of map information. 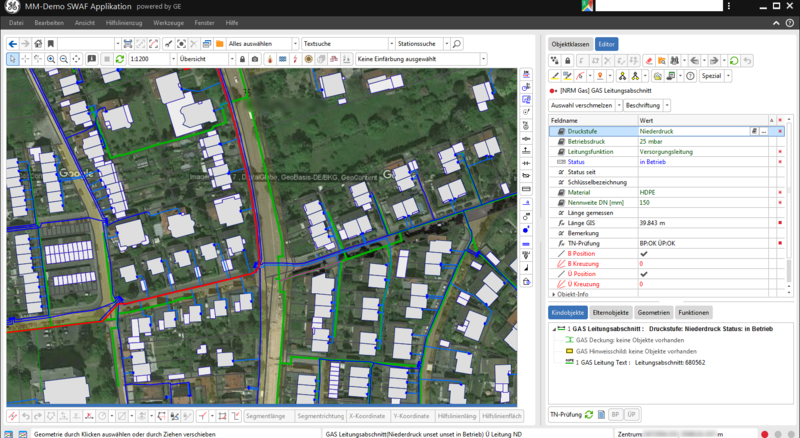 This includes aerial photography, satellite imagery, photographs, scanned plans as well as scale dependent digitised representations of the network asset. The gas network may be described geographically, geo-schematically, or schematically including the use of internaI plant views. Inherent logic and business rules ensure the integrity of network information and allow the modelling of gas flows. These modules can be installed individually or in combinations and have been designed to be simple and user-friendly. This makes equiries with Smallworld Grid Statistics largely self-explanatory for GIS users. Optionally, the user also has the option of carrying out the fault documentation in the ERP system. 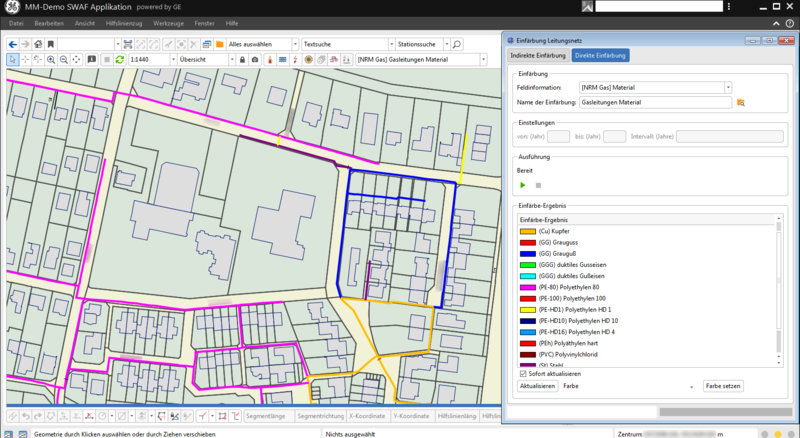 The required information, such as stations and outlets, can then be transferred to the GIS to determine the affected house connections and the results can then be transferred back to the ERP system.